Polycystic kidney disease is also known as polycystic kidney syndrome and is genetic disorder in which abnormal fluid sacs develop and grow in the kidneys. It is observed with multiple cysts in the kidney hence called polycystic. Symptoms include high blood pressure, headaches, abdominal pain, blood in the urine, and excessive urination. There are two types of PKD are autosomal dominant polycystic kidney disease and autosomal recessive polycystic kidney disease. Diagnosed by CT scan, MRI or Ultrasound. 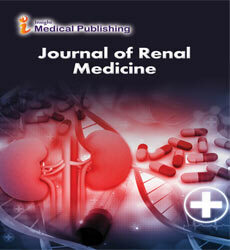 Related Journals: American Journal of kidney Diseases, Journal of Kidney, Iranian Journal of Kidney Diseases, American Journal of Kidney Diseases, Advances in Chronic Kidney Disease, Nephrology.